When most people think about greenhouse gardening they think extra heat for tomatoes & peppers. Greenhouse Gardening is about so much more! 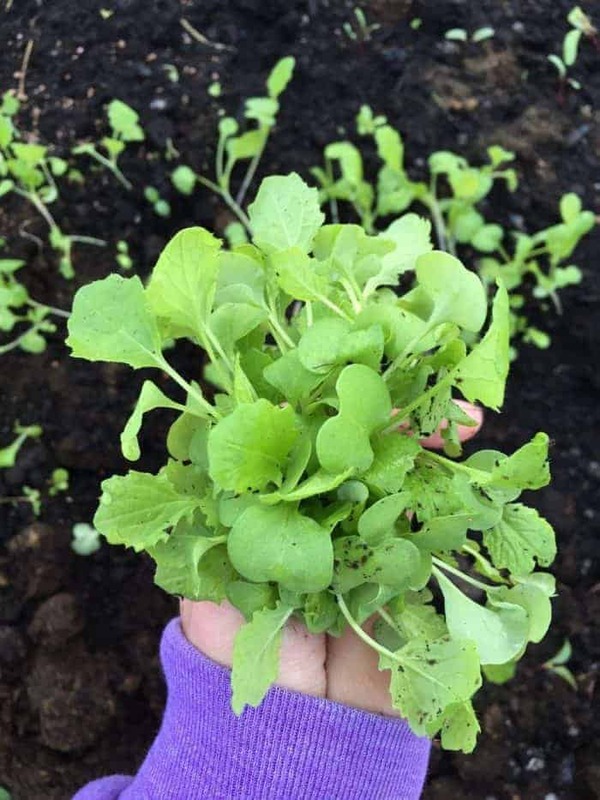 While we grow warm season crops in our greenhouse during the summer months, we also love growing cool season crops in the spring and sowing cold hardy crops for the fall and winter garden. 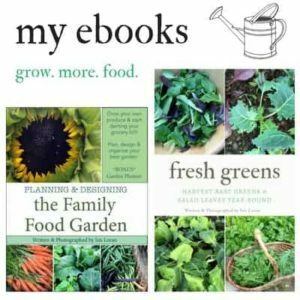 Today I wanted to share our experience unheated greenhouse gardening to grow vegetables year-round. 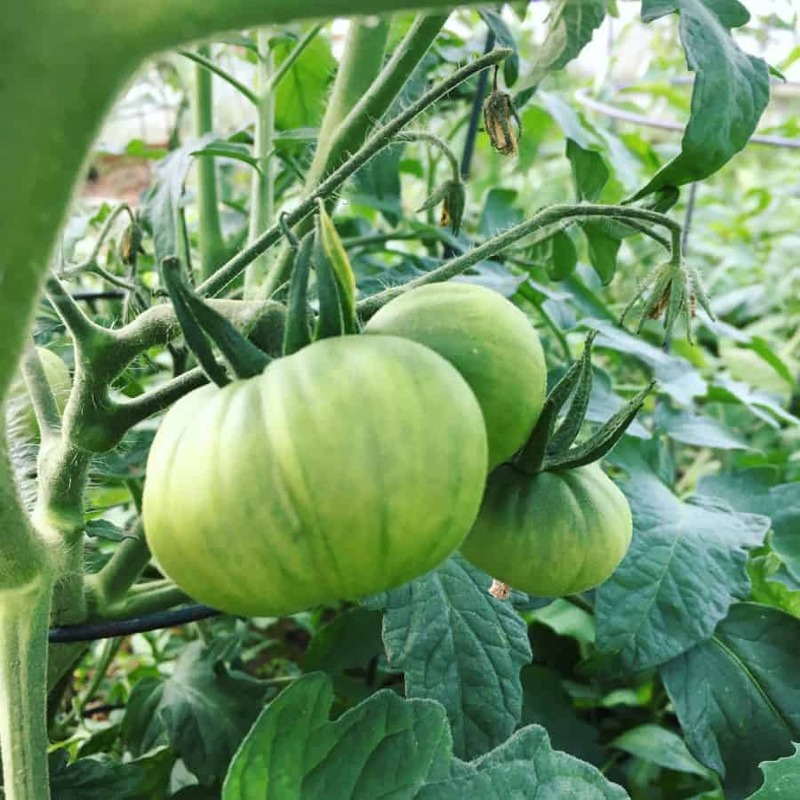 In this post, I’ll share with you tips for gardening in a greenhouse and the mistakes we made that you shouldn’t. I will also tell you all the crops we grow in our greenhouse year-round and show you the seasonal flow of our year. 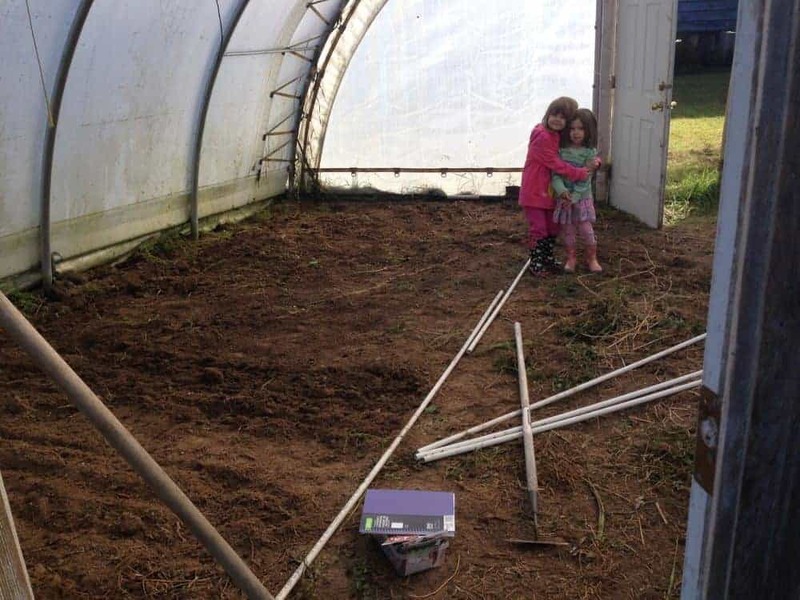 We’ll see the greenhouse garden empty, with fall & winter crops, overwintered greens & seedlings in the spring, warm season crops in the summer and back again to the fall and winter crops. Some information before we get started about our greenhouse. Our gardening zone is 5b. We live in the Canadian mountains. It reaches as low as -20C/-4F. We moved onto this land and the greenhouse was already here. I wish I could give you the exact details of the structure and greenhouse cover but I can’t. The cover is a thicker canvas and not clear. I’ve tried to find the source for this cover but I’ve yet to find it. We plan on changing the cover to greenhouse plastic in the coming years. 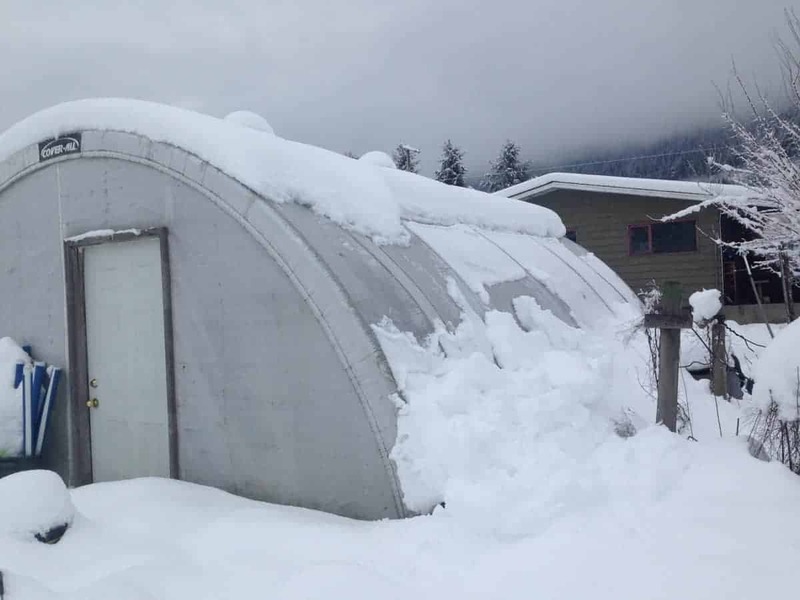 This greenhouse has held impressive amounts of snow. I’m not sure if it was the canvas played a factor in this but there were times (because I was pregnant our first winter using it) that we didn’t get outside as often to clear the snow. That winter we’d had the most snow in years. No damages that year thankfully! 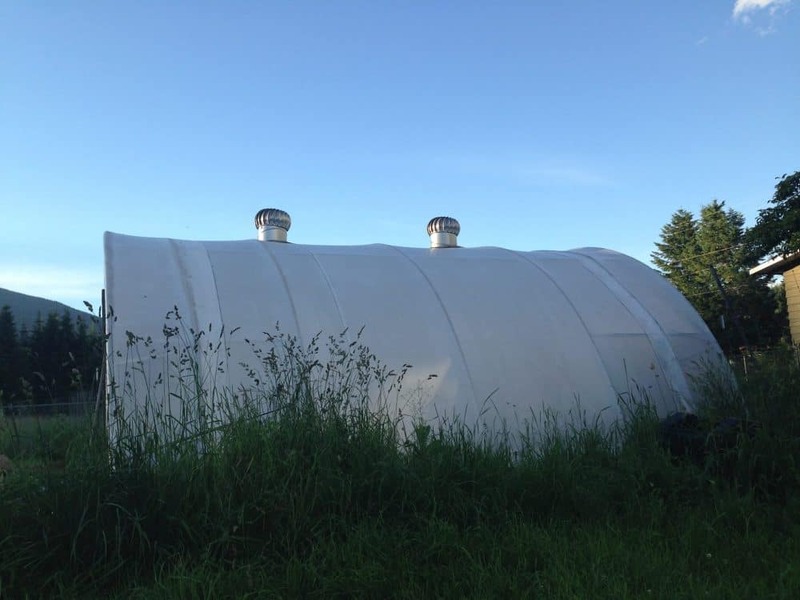 There are two air vents a the top that spin and two doors on either side of the greenhouse for venting. I would love the vents that roll up the side and when we change the greenhouse plastic I might just see if that’s something we can do. I’d like to mention that just because we have a greenhouse doesn’t mean we haven’t had a fall and winter garden previous years. 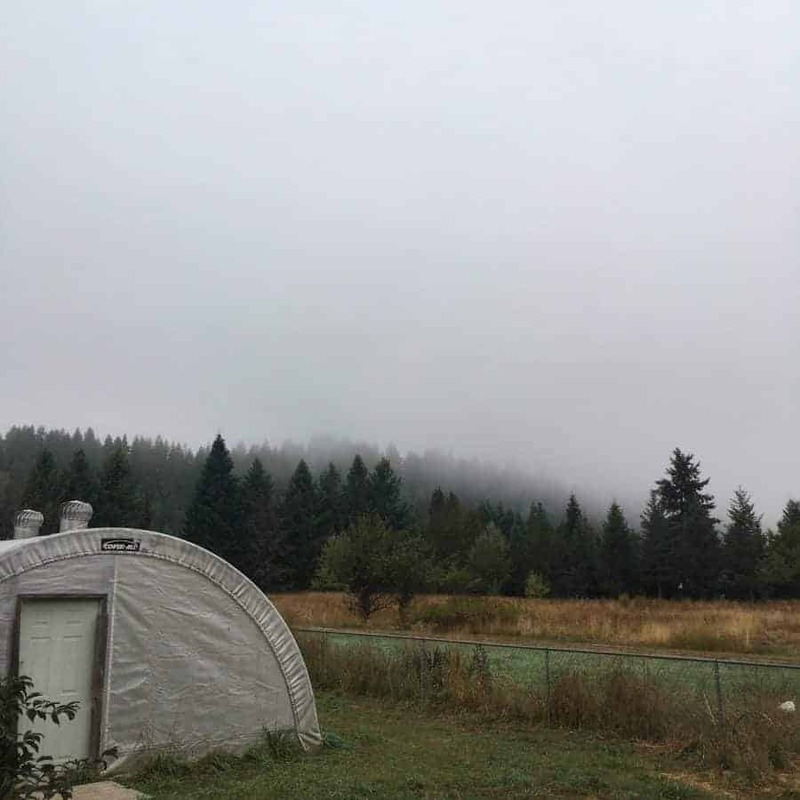 We used mini hoop tunnels and low tunnels until we moved to this acreage and had a greenhouse. 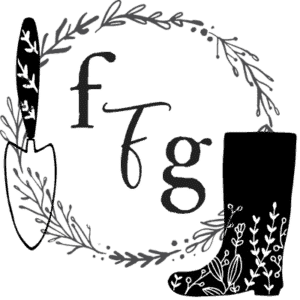 You can learn more about fall and winter gardening without a greenhouse from previous posts I’ve written. I will begin this post with fall when I first cleared it out. 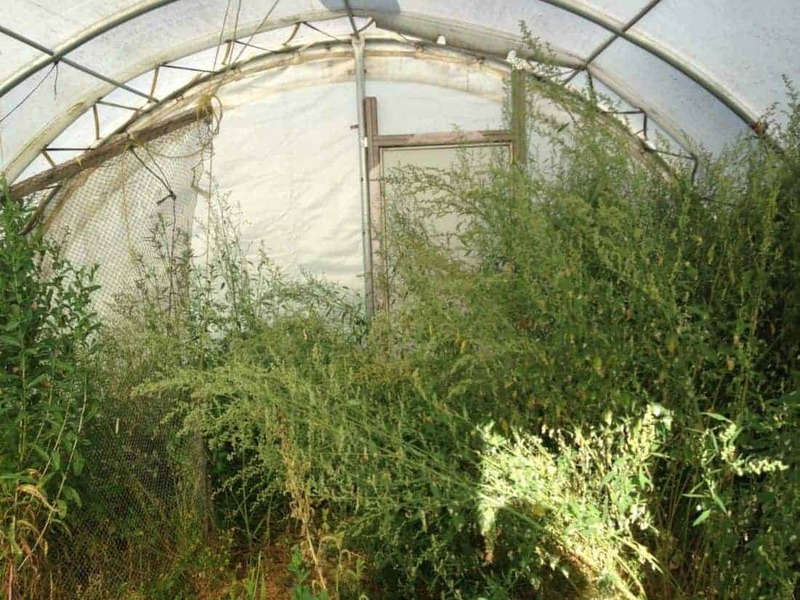 When we moved onto the acreage at the end of August the inside of the greenhouse had been left for a couple of years and it became a jungle. Literally a jungle of weeds! I cleaned it up as best I could, as you can see in the photos below, but I knew we were facing a massive amount of weed seeds in there. Planting fall crops was something I still did. 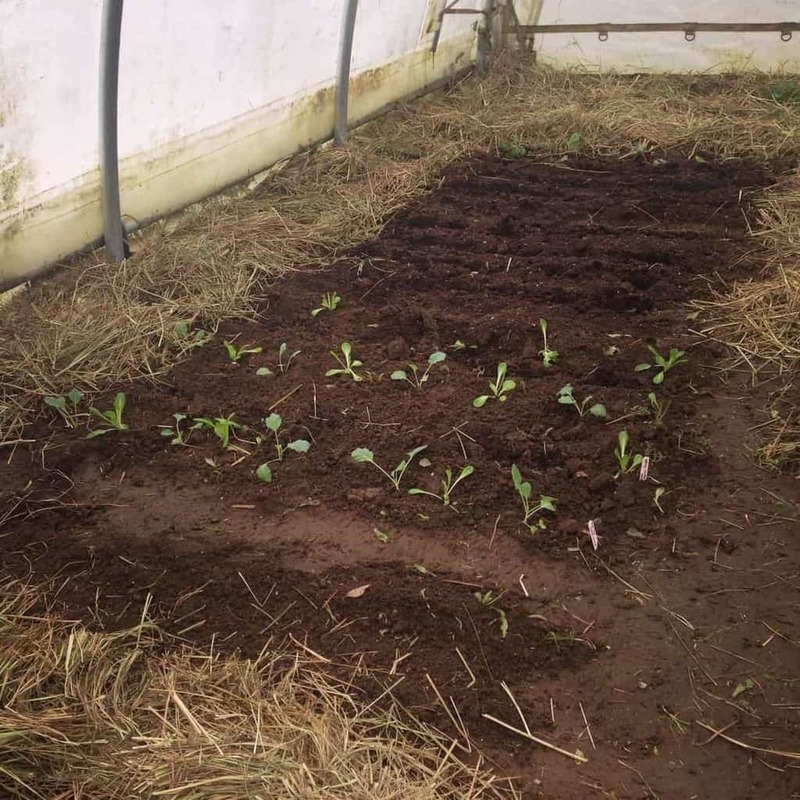 Even just to observe the unheated greenhouse and to overwinter greens. 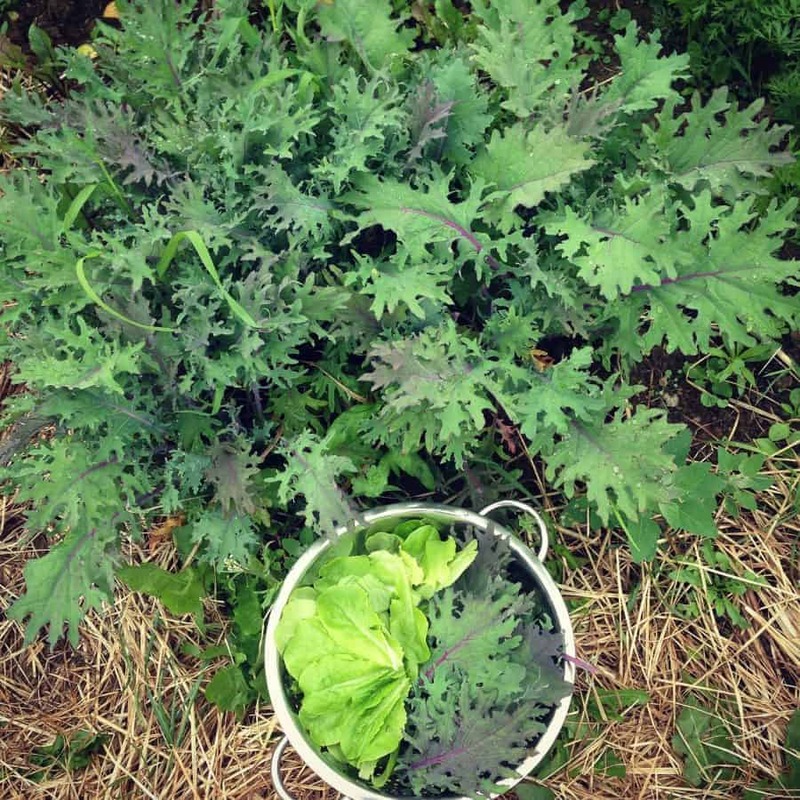 I sowed winter lettuce (winter density), kale, spinach, mustard greens, and turnips. 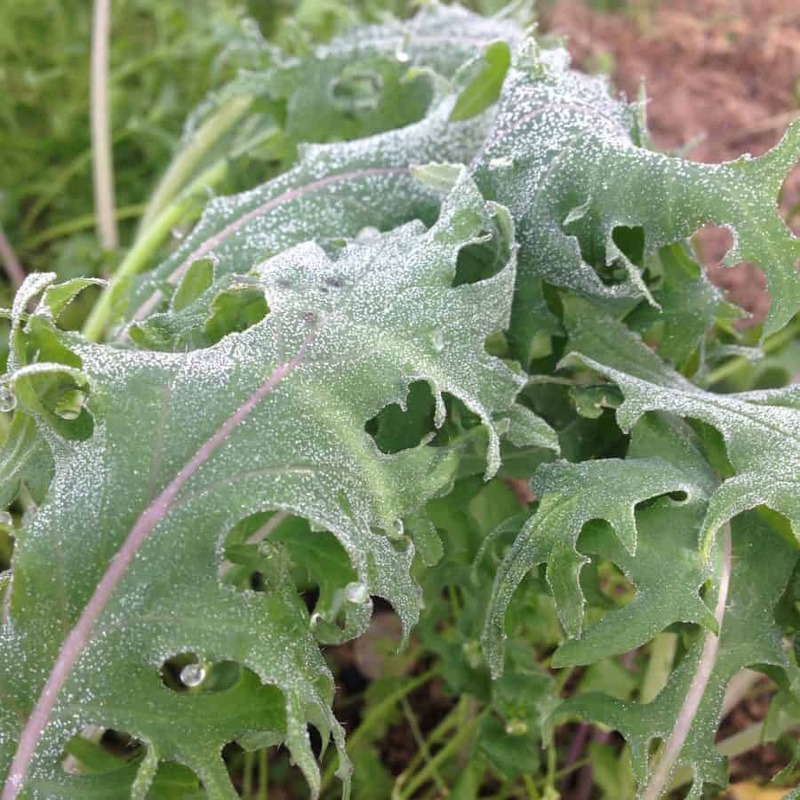 However, the slugs in the greenhouse were an epidemic! We lost a lot of crops, we’re dealing with huge amount of weed seeds and I was pregnant. Oh boy! 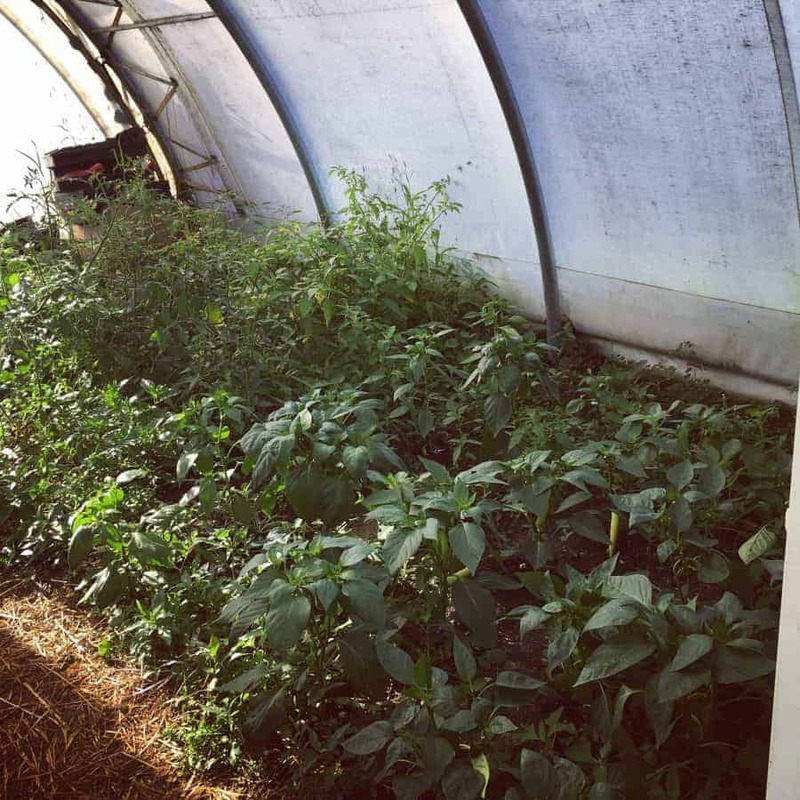 Below you can see the progression of October and November and it wasn’t a total failure, we did get some harvests and I managed to pay a lot of attention of what crops were doing well in an unheated greenhouse. Observation is an underrated attribute to gardening, it helps you learn and grow as a gardener and understand your microclimate better. Once November hit we had a decent amount of greens. 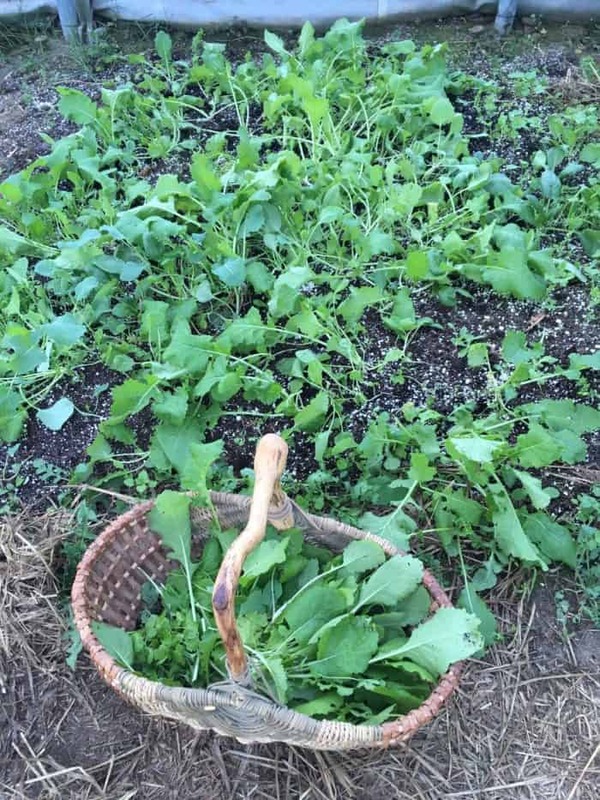 These crops were sown in late September, later than I wanted them to be as I prefer early Sept, but the Komatsuna, Tatsoi, Spinach, and Kale did great even if there were weeds all over and in between. I failed to thin out the seedlings so they would have done better if I had. 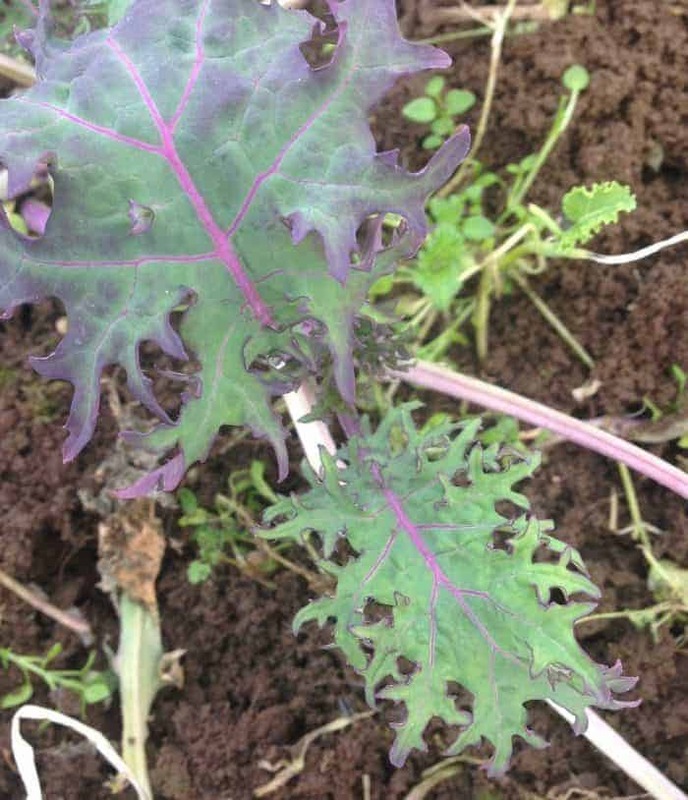 Here’s a list of cold hardy crops for you to grow. 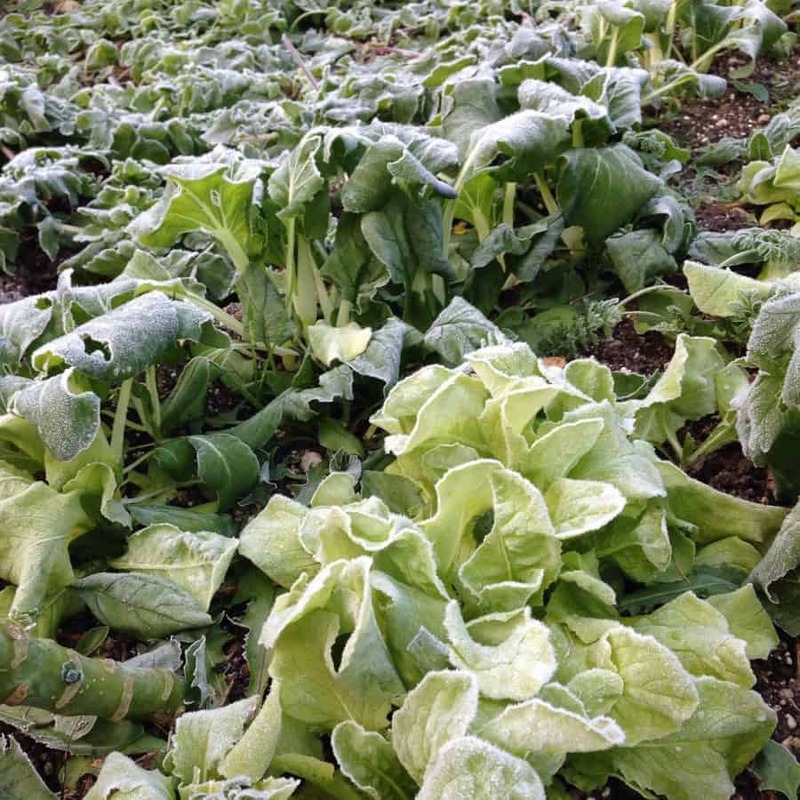 January & February when temps dipped to -20C/4F the greens were in a heavy frost. Many rebounded though to harvest when thawed and certain crops overwintered. Constant snow removal is imperative. We hadn’t had this much snow in years (even though it used to be the norm here in the Canadian mountains, the climate has definitely created milder winters since I’ve been gardening 8 years ago). We made the mistake of not having enough path space around the edges of the greenhouse. Next year we plan on having a better snow removal system. How do we reach the top? We tap it on the inside with a broom and it slides down the sides, then we remove it from the sides. Snow removal is definitely a workout! 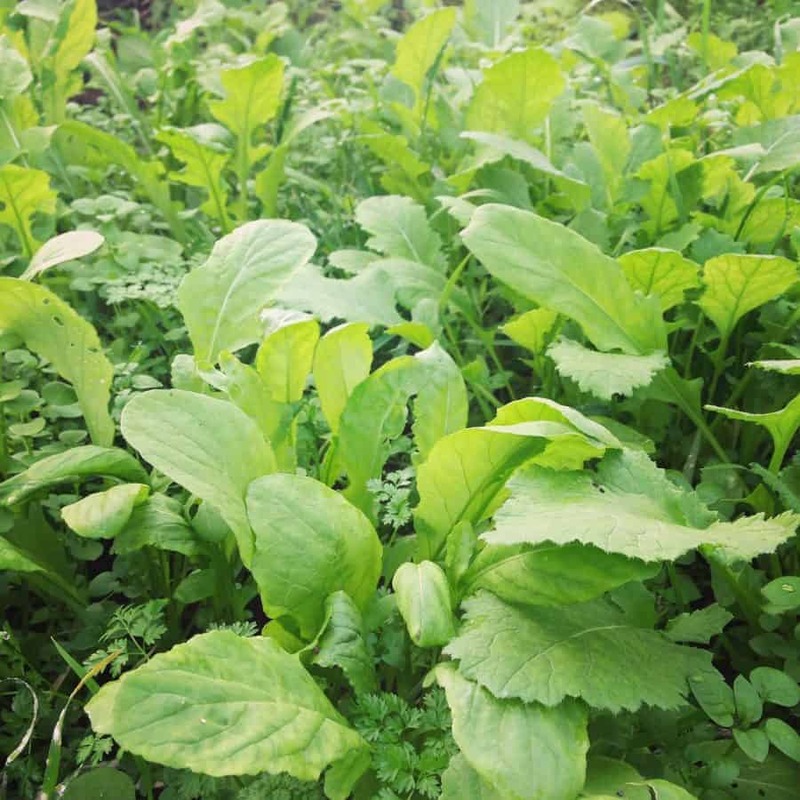 In the spring I didn’t think many of the crops had survived well enough to provide us with overwintered greens. I pulled and cleaned out most of the greenhouse as there was a weed in there that was thriving. Later I discovered it was the edible Claytonia! However I didn’t want a whole greenhouse of it, and edible or not, I wanted other crops. 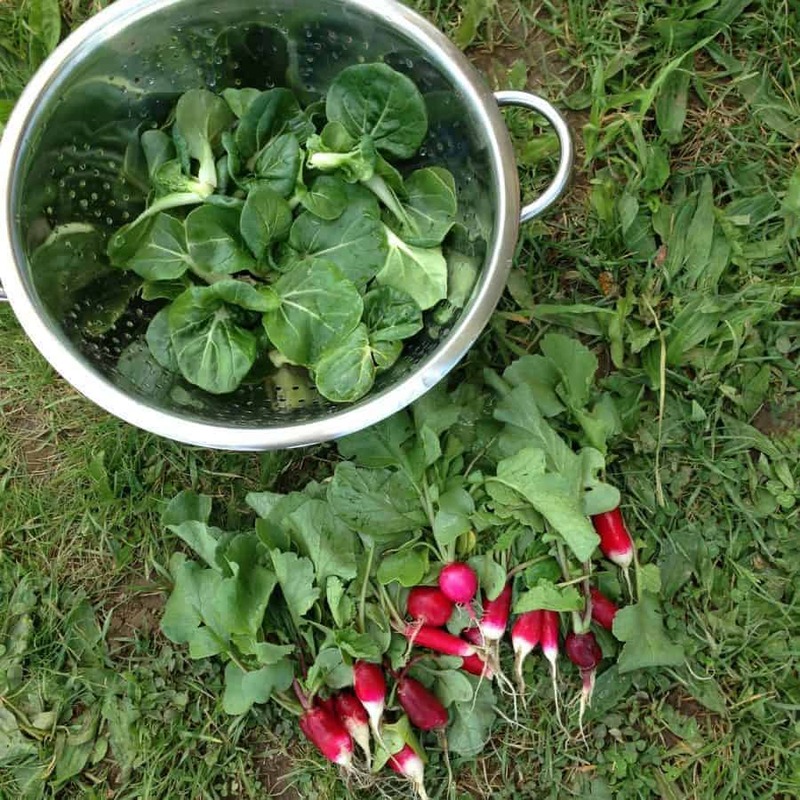 I weeded, amended the beds and sowed spring crops: mustard greens, lettuce, spinach, radishes, turnips, arugula. 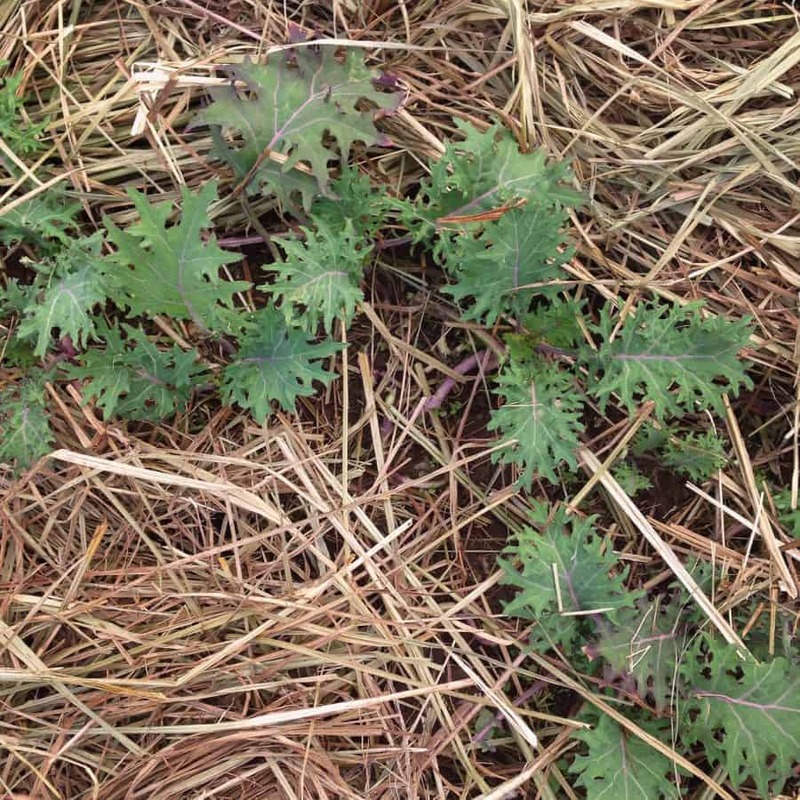 The overwintered kale looked dull and unhealthy then rebounded with a ton of fresh kale! Below you can see it in March, April then thriving in May before it finally bolted and tried to flower. In the spring we enjoyed a decent amount of harvests although it should have been more with we were still dealing with a lot of weeds. I sowed most of the crops end of March, then again in April and even early May. This is succession sowing meaning sowing multiple times over a period of weeks instead of all at once. It helps you to figure out the best time, and because the weather is unpredictable in the spring it increases crops success rate. 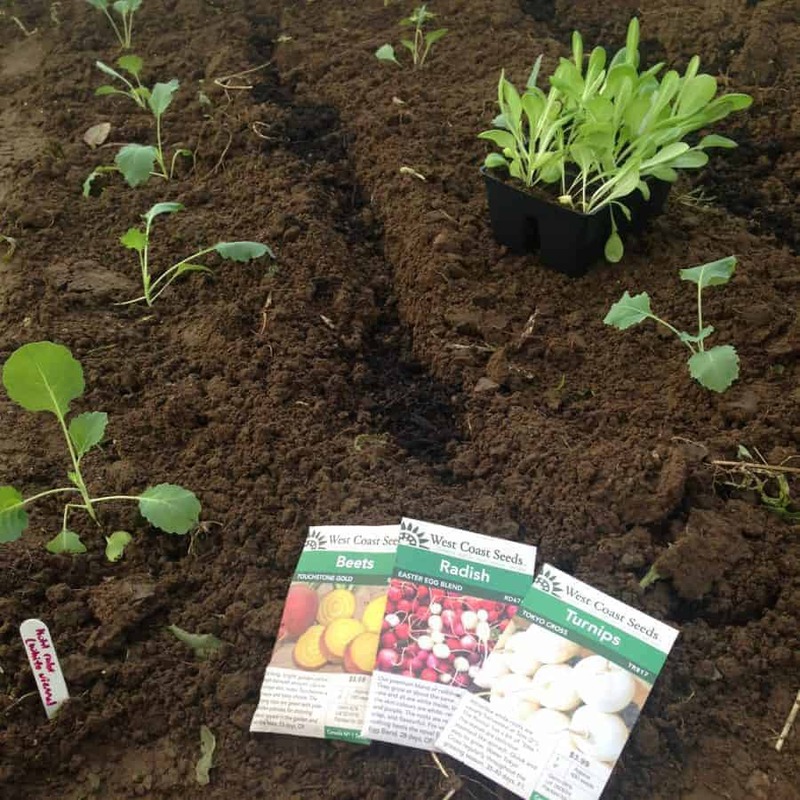 You can learn more about succession sowing here and also in my garden planning book. One mistake I made was mulching our greenhouse! In our location, we have A LOT of meadow voles and our mulched greenhouse to suppress weeds became a haven for them when it was still snowy outside. As soon as I moved the mulch and took other rodent-repelling measures, they cleared out but they ate most of my beautiful seedlings. Onto summer crops then! I grew tomato, pepper and eggplant seedlings inside our home (basement with sunblaster grow lights). I transplanted them mid-May and again end of May. Our greenhouse cover is fantastic for snow weight as it’s currently a canvas, however, I do believe it must inhibit some light transmission. 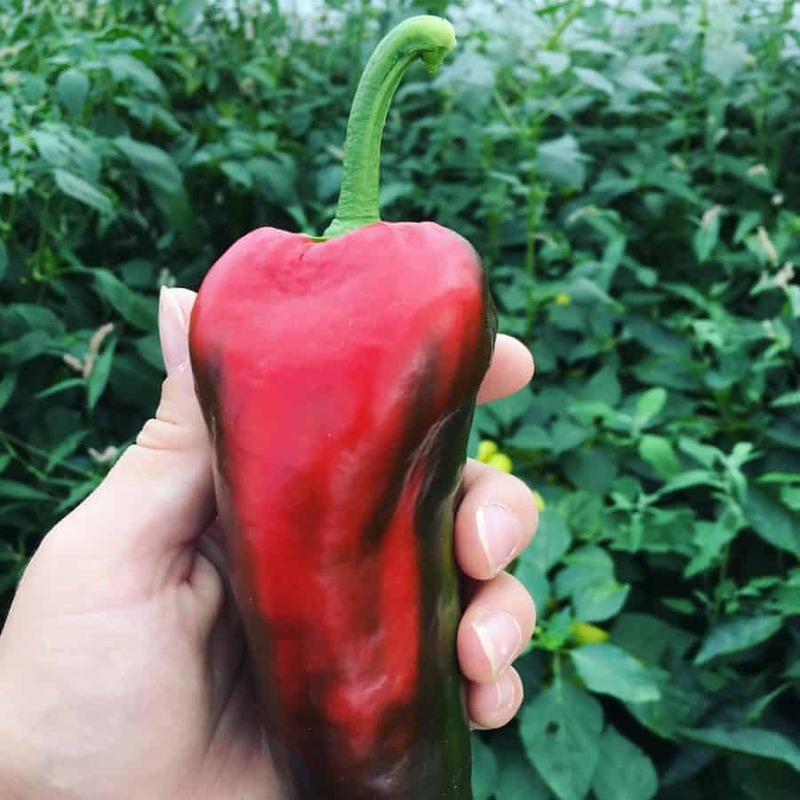 Our warm season crops did great though, especially the peppers. The tomatoes I didn’t prune and trellis as well as I should have (Preggy! Our baby was born mid-July so my gardening efforts were greatly diminished). All in all we had great tomato and pepper yields for our summer greenhouse garden. By early September I had cleared most of the pepper and tomato plants, amended the soil with compost & azomite and sowed fall crops. They were succession planted from early to late September as I would leave certain rows of tomatoes to ripen further. 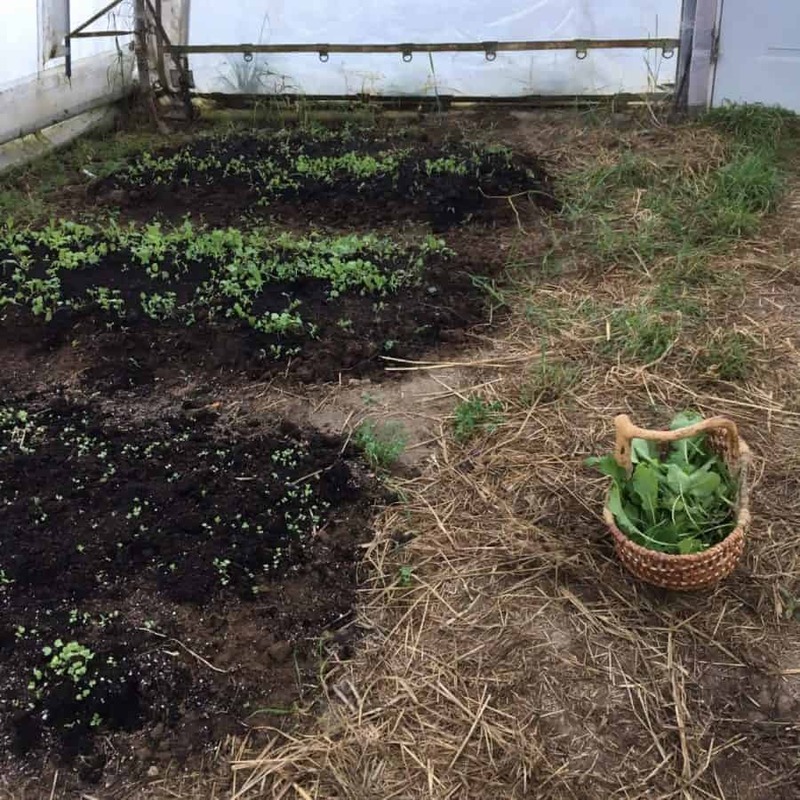 The photos below were taken today (end of September) and you can see that the first bed that I sowed is full of greens which I was thinning out today. The other 4 beds are growing slowly and whether or not those crops will grow to become full-sized will depend on our fall and winter temps. 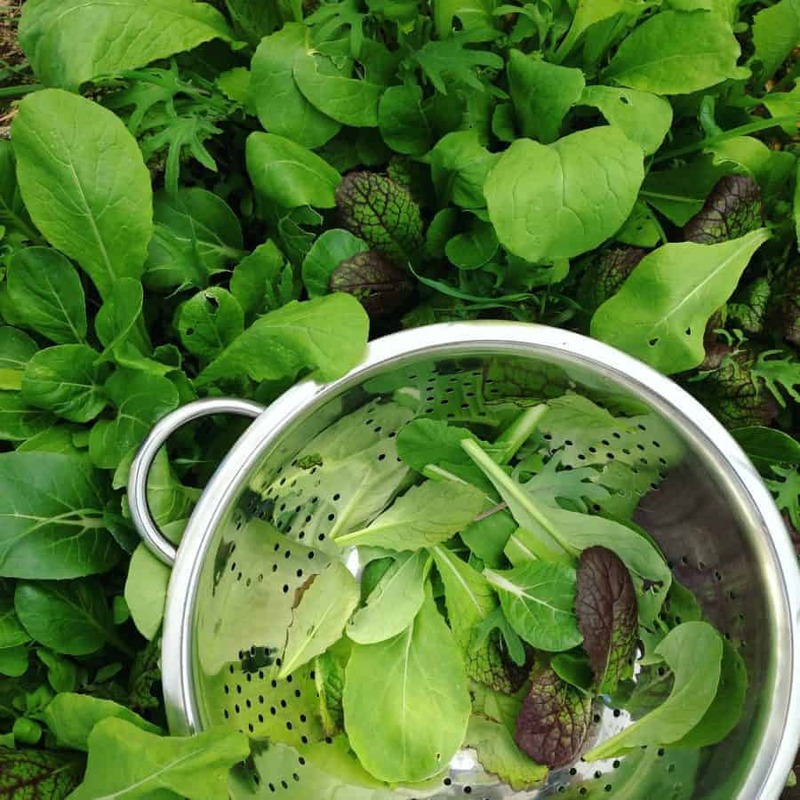 Most gardeners in our area have stopped gardening for the season so it was nice to harvest a big basket of greens and micro greens (from thinning out our crops). I look forward to seeing how these fall crops will do over the winter months. 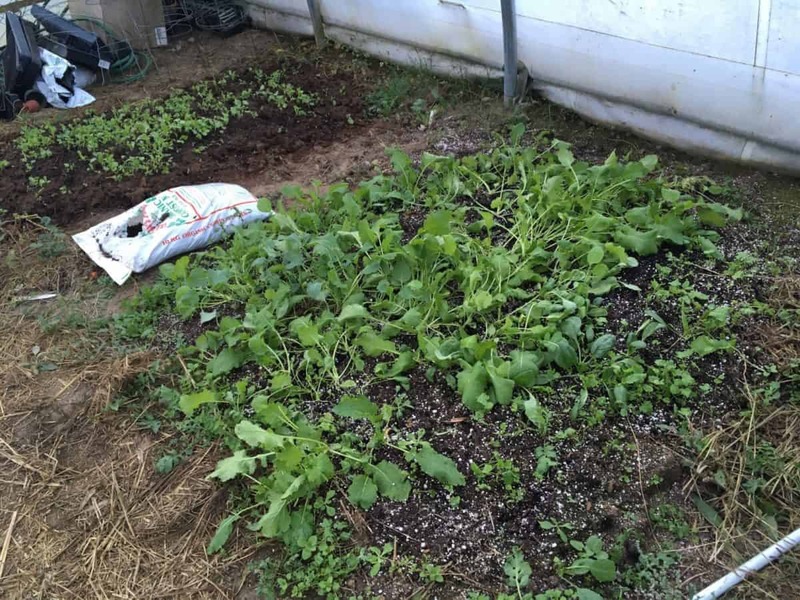 Updated: See our successful second winter using the unheated greenhouse for harvests! Awesome info here! I set up my own greenhouse on my property recently, and it is in the experiment stage to see how long things will survive into the winter. Question- do you know what the temp is inside the greenhouse compared to the exterior temp in the winter? Are those air vents closed in the winter, and how do they affect the temp in the greenhouse? That’s great you have a greenhouse! I actually didn’t have a thermometer in there this past winter but plan to this year to find out the coldest it gets in there. The top air vents stay open during the winter although there was snow on them multiple times which would have blocked out some cold air but also reduced ventilation. Sometimes they spun, other times they didn’t depending on the temps. It was a long cold snowy winter last year. Best of luck with your greenhouse! We have been using an unheated greenhouse for about 5 years. 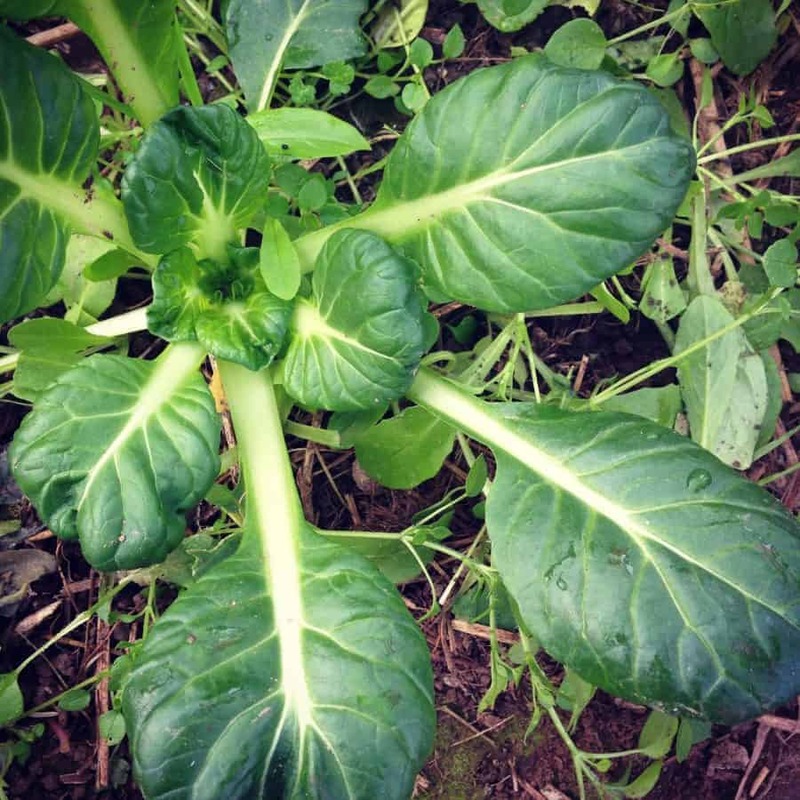 We have learned to eat lots of different hardy greens. 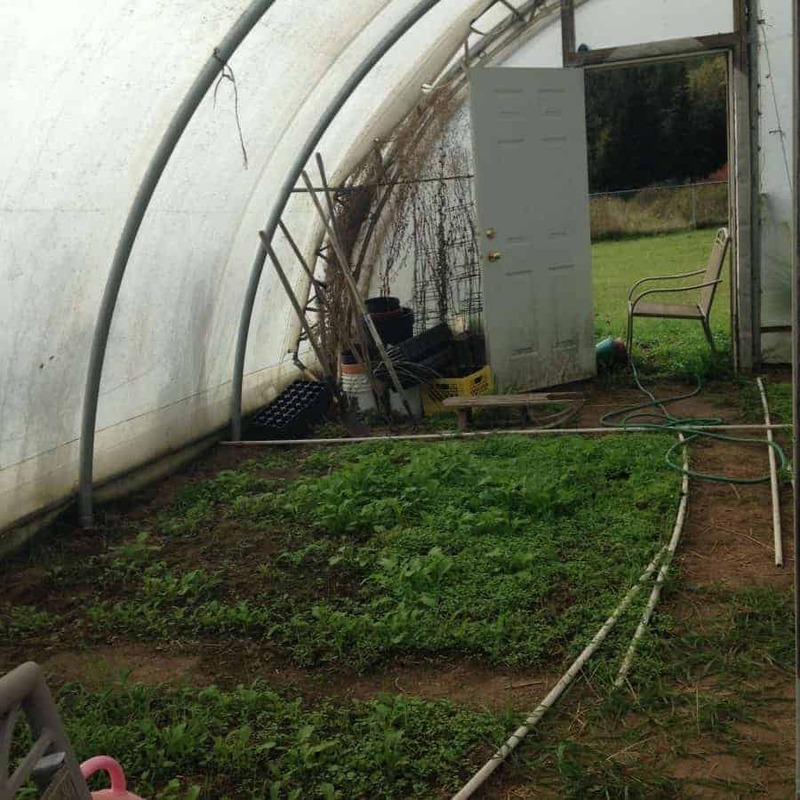 We have 4 raised beds and have hoops over the beds in the hoophouse. Over these hoops we put frost cover when the temperature drops. We move them up and down depending on the sunshine and temperature. It has kept us in greens all winter long. 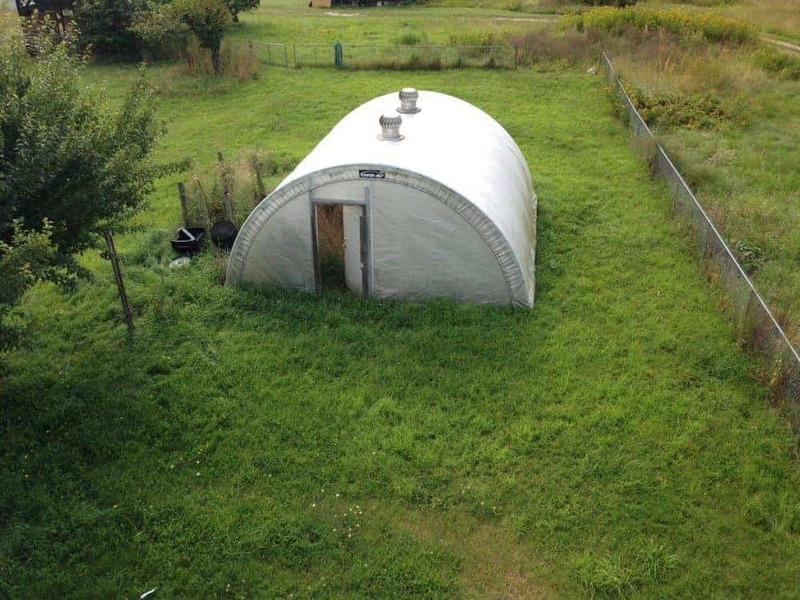 Has this unheated greenhouse completely taken the place of all your hoophouses? Or are you still using them as well? 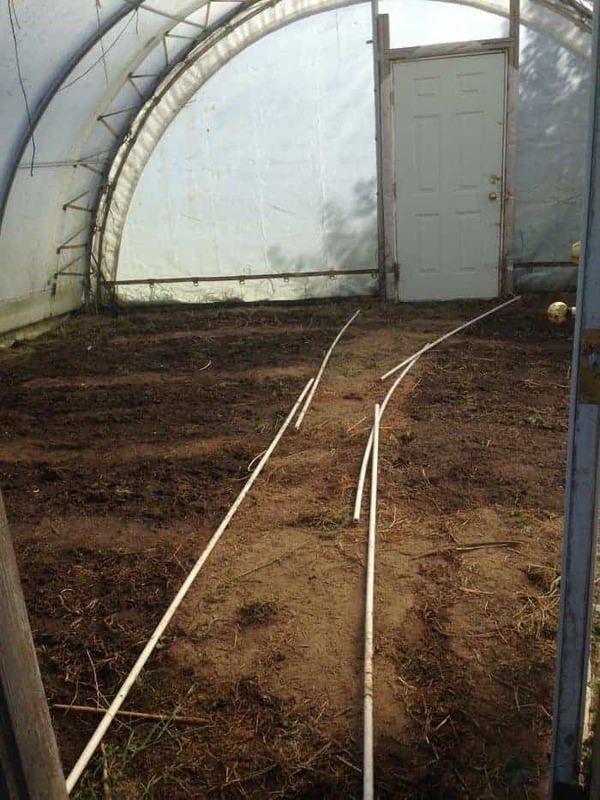 I have an unheated greenhouse (though it is not an “in ground” greenhouse) but hope to use the hoops to overwinter Spring greens and hopefully an early crop of onions and cabbage. How do u water without everything freezing? What’s your water supply for the greenhouse in the winter? How do you keep the pipes from freezing? What temp are you heating the greenhouse to? I am curious if maybe the plastic is vapor barrier instead of greenhouse plastic. It’s utilized when pouring building foundations to keep the moisture from getting into the concrete. It is a thick plastic I mistook for greenhouse plastic when I began working in both industries at the same time. Real thick stuff and I’ve often thought of trying it. Looks awesome either way and I’ll definitely be trying a greenhouse when I move to snow in the next 2 years. How is your green house doing this last winter. 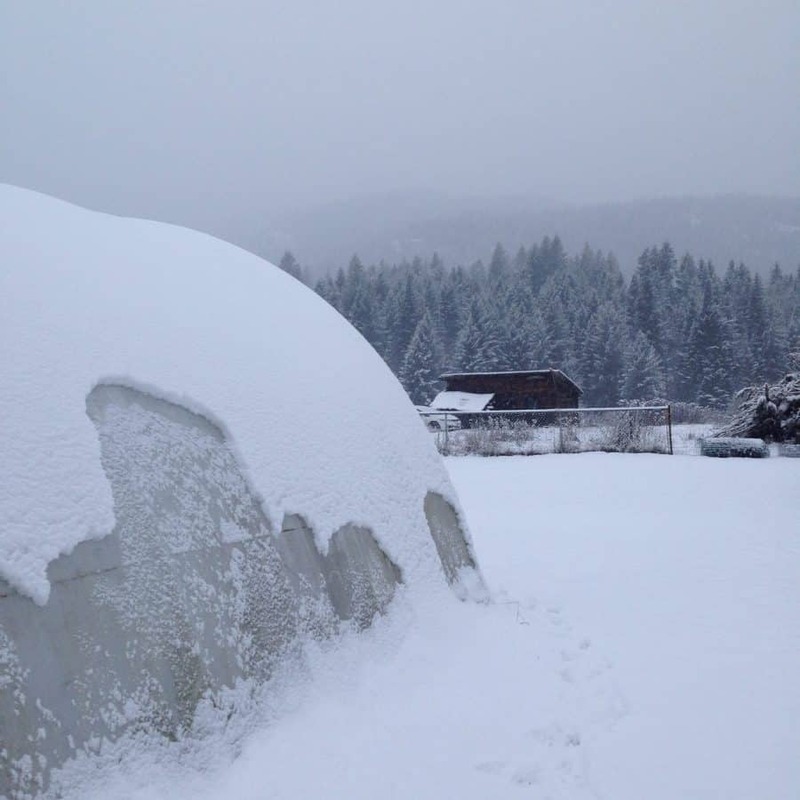 My wife and I live in Kelowna, bc and are looking at building a 20’x10’ greenhouse. Insulated north and almost east walls. We are doing up a section of the greenhouse with a 20’x3’x3’ compost pile I salted from the outdoors and running heat back into the grounds of my raised boxes. I’m hoping this will keep the greenhouse warm over the 4 months of winter to grow veg. 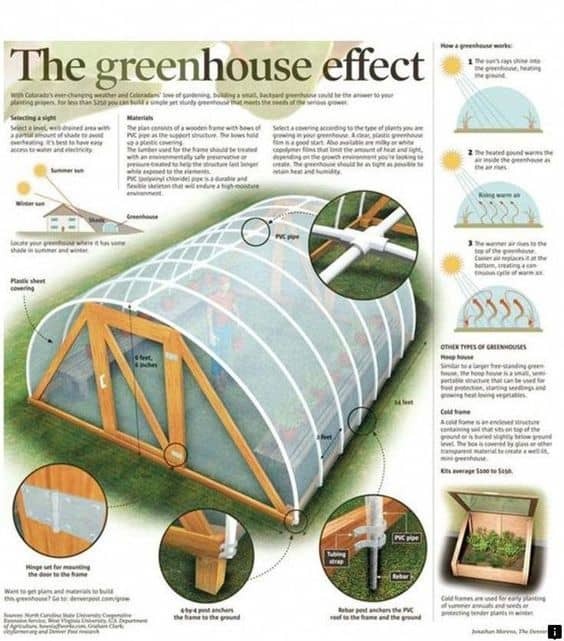 I love the idea of heating a greenhouse with a hot compost pile. I was always worried about attracting rodents. I’d love to know how it all goes! 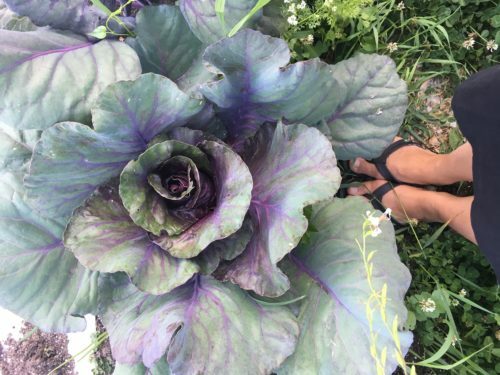 So happy that you’re aiming for more year-round gardening!